Suffering from Skin burn issues? Be Relax! Elite Cosmetic Surgery Center is here which provides you Best Skin Burn Surgery in Nashik. 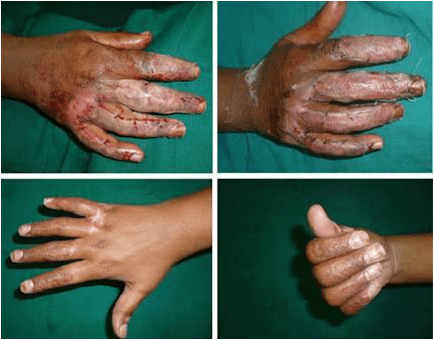 Burn surgery is helpful to change the life of patients who are suffering from burn injury. Elite cosmetic surgery center which is ISO certified Cosmetic surgery center in Nashik has a dedicated burns team comprising of highly shelled and experienced Plastic, trained nurses and support staff. Elite Cosmetic Surgery Center has a separate fully equipped burns operation theatre and dressing room with the latest equipment in burns management surgeries. The patients are directly managed under the supervision of highly experienced Plastic & burn surgeons, intensive care specialists to ensure that the best possible treatment is delivered to the burned patients at affordable cost. To Experience the New Technologies Treatments in Nashik, Visit Elite Cosmetic Surgery Center for Best Burn Surgery in Nashik.